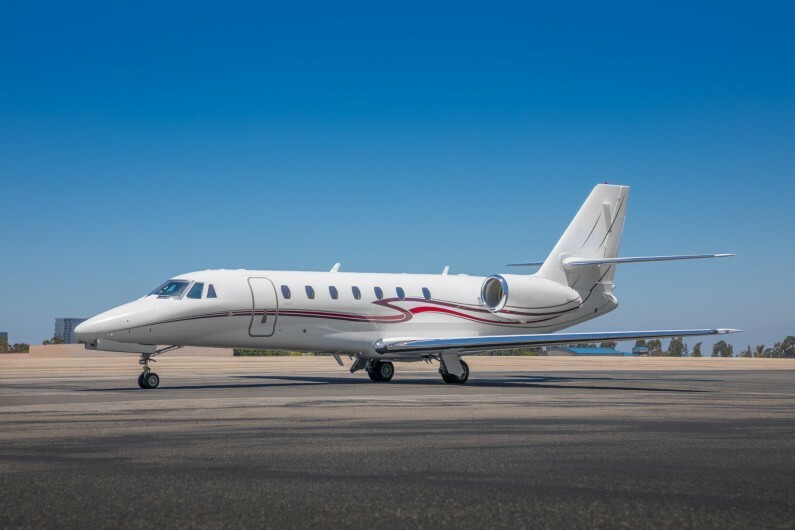 The Citation Sovereign was named by the Robb Report as the “Best of the Best” in super-midsize business jets. 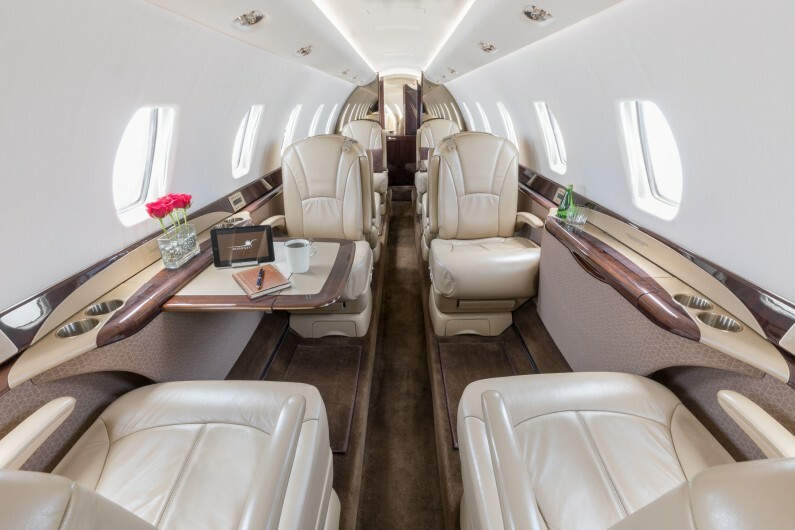 The Cessna Citation Sovereign is in a class all its own. This midsize beauty can leap and be airborne from runways in just under 4,000 feet and has the ability to cross the United States non-stop. Once it’s done sweeping its passengers away in utmost comfort, it can easily land in under 3,000 feet – all the while, with the smoothest landing possible, thanks to its plush trailing link landing gear. That capability is something that many other business jets simply cannot match. The short field capabilities are not the only benefit to this airplane. Its legs provide up to 2847 miles of range, with adequate fuel reserves. That’s enough to easily connect the west coast to the east and open up international travel for both exotic and productive destinations. 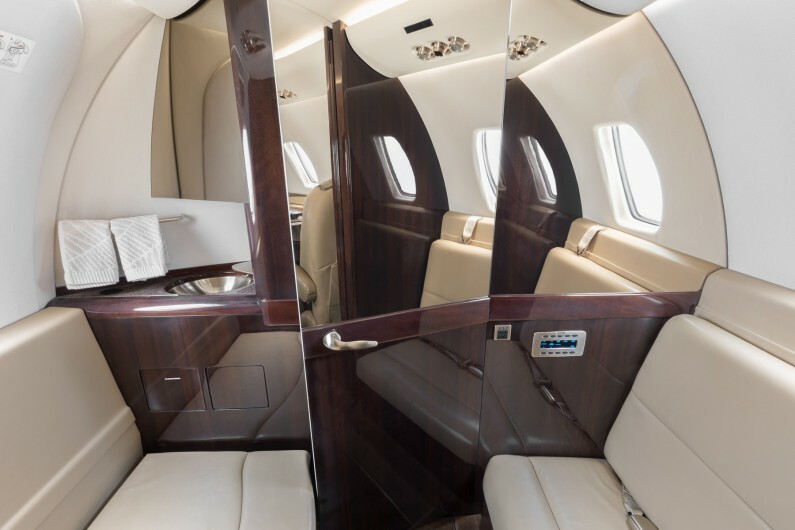 The Citation Sovereign’s cabin is more than 24 feet long, allowing for a spacious interior feeling, with the capability to comfortably seat up to 11 passengers with a distinctive double club interior layout and side facing two-set divan. The interior baggage in the Sovereign allows for copious storage of garment bags in an innovative center closet. The exterior storage is an impressive 100 cubic feet, dwarfing others in its class. These qualities allow you to bring along exactly what you want, and transport it exactly where you want to go. Being certified to fly at 47,000 feet means that any storm is easily avoided, alleviating the discomfort of bumping along at lower altitudes through the weather. The ability to fly at 525 miles per hour means you’ll get there in a hurry, which is essential for those time critical missions. The Citation Sovereign combines all the best attributes into a single airframe and allows you to be the most productive member of the company. If your destination is a fun one, you can connect Honolulu with Vancouver, or Cancun with Seattle.